La Laguna: Notre conception de villa se compose de 9 pièces. (Sono, LG télévision à écran plat avec satellite, Internet - WiFi, lecteur de DVD, deux canapés intérieur et extérieur) tout est entourée de terrasses EP de plus de 350 m², notre villa offre une vue exceptionnelle et unique du parc sable naturel des volcans sans-abri autour de la vie privée parfaite !! La Laguna dispose de 5 Chambres de 36 m² complètement séparés entourés de plantes tropicales et de palmiers autour d'une cour centrale avec une grande piscine avec une fontaine d'eau. Trois chambres avec lits doubles (200x200) de teck bali avec grande douche lavabo et wc part. Une salle «suite» 4 avec lit double (200x200) et deux lits simples. Toutes nos chambres sont équipées de TV TV LG-écran avec satellite, matelas 200x200 latex de haute qualité, 4 almuadas latex par Servical, canapés, le bois de bureaux (teck), jeux de 25 m², parquet EP tous les meubles en teck importés de Bali. La Laguna somme près de 770 m² d'espace intérieur et extérieur domestiqué dans les 8000 m² de terrain, face à la réserve naturelle protégée Montagne Arena. table en teck tombonas avec 2 chaises, 2 parasols. vous avez les meilleures vacances possibles. Deux pizzerias, six restaurants, trois boulangeries, une supérette, une pharmacie, 4 bars. 3 magasins de surf, école de surf, école de kite surf. nous nous sommes baignes tous les jours au mois de decembre! Reservamos las villas de Harold y Susana para la celebración de nuestra boda. La amabilidad y el trato ha sido exquisito. Ante cualquier propuesta para el evento siempre han respondido con una sonrisa, siempre dando soluciones y trabajando para ello. han sido y son fantásticos, volveríamos a celebrar nuestra boda con ellos. Muy recomendables, es un sitio para olvidarse de los problemas. Fantastic Villa & Great Hosts! We had great expectations of La Laguna because the pictures were great and the information available extensive. We were not disappointed! Harold is a fantastic host and the villa is by far the best I have stayed in. 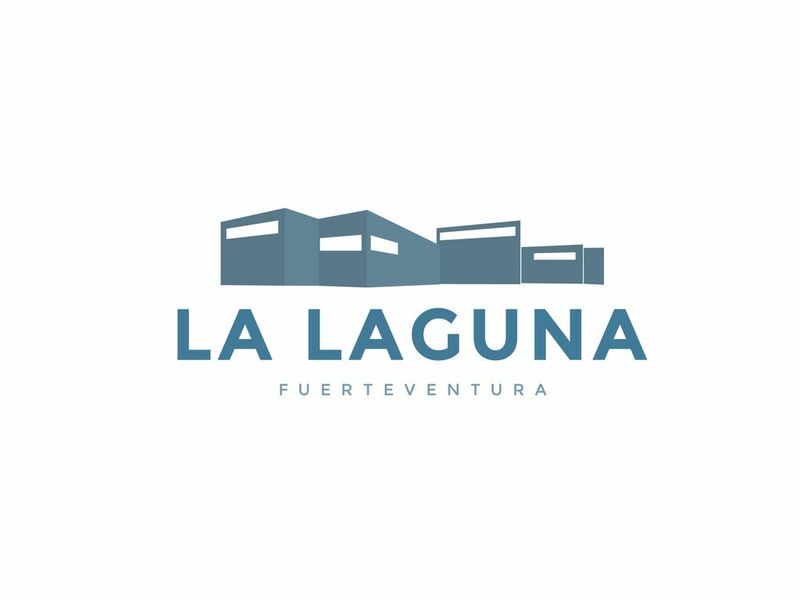 Location - La Laguna occupies a good sized plot just 5 minutes drive (25 minute walk) into the small village of Lajares. There are some great little eateries in the village, a supermarket and a few shops, but this is by no means a resort. We loved being among locals and the water sports community rather than the traditional strip with its cheap shops and burger king. Villa – Great inside living space that becomes part of the grounds with the sliding doors open. Variety of seating areas outside that are multi-purpose. Kitchen a good size and you can easily cater for a large party. The bedrooms have a boutique feel and all well presented. Pool – Good sized pool and being detached from the villa means those at the villa have some peace if they want it. We had it heated but not sure that’s really necessary in August. WiFi – Teens were happy with wifi as this is an essential part of their lives! Signal a little weak in some bedrooms but generally it did the job well. Equipment – Some useful items in the utility area including umbrellas and wind breaks which are useful if visiting the fantastic beaches (we suggest Corralejo swimmers beach). Tv’s etc useful for catching up with Sky news and a few music channels. Summary – We didn’t want to leave. We loved the village. So much so that my wife and I are coming back for a long weekend in October. The villa is a great place to spend a holiday and use as a base to visit the area. We hope to return sometime and Harold’s property will be our first choice as a group. We've rented the entire villa for a complete week. We were a group of 10 (6 adults and 4 Children between the age of 8-15y). Everything went great and service is excellent. The evening of arrival we've booked the personal chef at home (Volcanic food). Great dinner! Harold helped us with all our enquiries and reservations. The pool was heated as well. We had a very relaxing and nice stay! Definitely recommended! Esta casa es ideal, genial y maravillosa. Vinimos toda la familia a celebrar mi 40 cumpleaños y cada detalle sumó para que todo fuera perfecto. El servicio de catering ofrecido por Chris y Saki fue puntual y muy rico, mucha dedicación. Una tarde hicimos un taller de sushi para toda la familia que resultó ser super divertido. Los masajes de Susana agradaron a los abuelos, tíos, hermanos y niños y pusieron el punto sensible a nuestra estancia. La atención cercana de Harold y Susana, la familia que gestiona este alojamiento y sus sonrisas dieron ese toque familiar que hace que rememorar estos momentos como algo preciado. La casa esta muy bien diseñada para grupos y familias y el entorno donde está ubicada es realmente especial. Muy cerca además de las mejores playas surferas de la isla. Un 10 para este lugar donde volveremos algún día. Impressive house and garden away from other houses, very private ,located near a little village with all basic facilities. Trekking trails near, beach 15 min away, surf courses, buggies and many things to do in the surroundings. Great hosts. Totally recommended. villa moderne et minimaliste dans le désert en face de l'un des parcs dans le nord de l'île (l'Arena). Paysages spectaculaires des volcans et des montagnes. A 6 km des plus belles plages des îles Canaries.